BourbonBlog.com congratulates Heaven Hill Distilleries, Inc., the nation’s largest independent family-owned and operated distilled spirits producer and marketer, for being voted the best distiller in the United States for the second consecutive time during the presentation of Whisky Magazine’s U.S. Icons of Whisky America. The Icons of Whisky “celebrate the people and places behind the greatest whiskies in the world,” according to the organizers, with the judging process taking place in regional heats including the U.S., Scotland, and Rest of the World. The American winners will now go head-to-head with Scotland and Rest of the World winners, with the final World Icons being announced at a ceremony on the eve of Whisky Live London on February 25th. In awarding “Distiller of the Year”, Whisky Magazine Editor Rob Allanson lauded Heaven Hill Distilleries for “quietly getting on with the job and releasing some stunning whiskies.” Heaven Hill was also awarded the same honor last year, marking the first time a distillery has won the award in consecutive years. 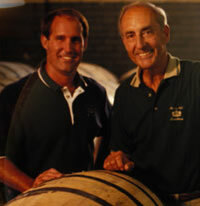 The Bardstown-based company, the world’s second-largest holder of aging American Whiskey, produces such critically acclaimed brands as Evan Williams Single Barrel Vintage Bourbon, Elijah Craig Bourbon, Rittenhouse Rye, Bernheim Original Wheat Whiskey and the Parker’s Heritage Collection of American Whiskeys, all crafted under the watchful eyes of sixth and seventh generation Master Distillers Parker and Craig Beam, both who we recently featured in a recent episode on BourbonBlog.com’s coverage of the Evan Williams Single Barrel 2000 Vintage, watch video on this link. 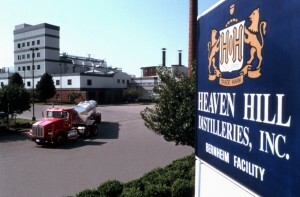 Heaven Hill was also awarded “U.S. Visitor’s Attraction of the Year” last year for their Bourbon Heritage Center, which upon its opening in October of 2004 immediately raised the bar for all other hospitality facilities along the Kentucky Bourbon Trail. Heaven Hill went on to capture the worldwide “Visitor’s Attraction of the Year” award, beating out distilleries from America, Scotland, Ireland and Japan. Founded in 1934, Bardstown, KY-based Heaven Hill Distilleries, Inc. is the nation’s largest independent, family-owned and operated spirits producer and marketer and the world’s second-largest holder of Kentucky Bourbon. Heaven Hill’s diversified portfolio of brands includes The Christian Brothers Brandies; Evan Williams and Elijah Craig Kentucky Straight Bourbon Whiskeys; Hpnotiq Liqueur; Whaler’s Rum; Burnett’s Gin and Vodkas; Dubonnet Aperitif; PAMA Pomegranate Liqueur; Água Luca Brazilian Rum Cachaça, and Lunazul Tequila.